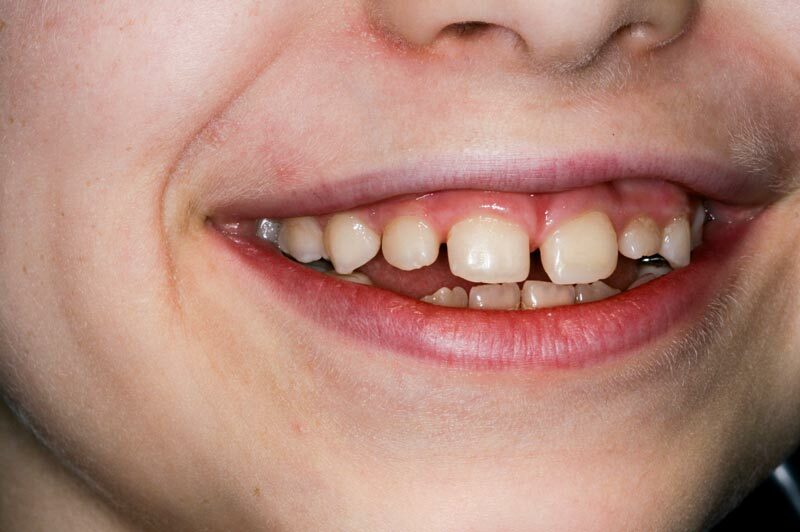 All upper teeth should overlap the lower teeth on the outside. 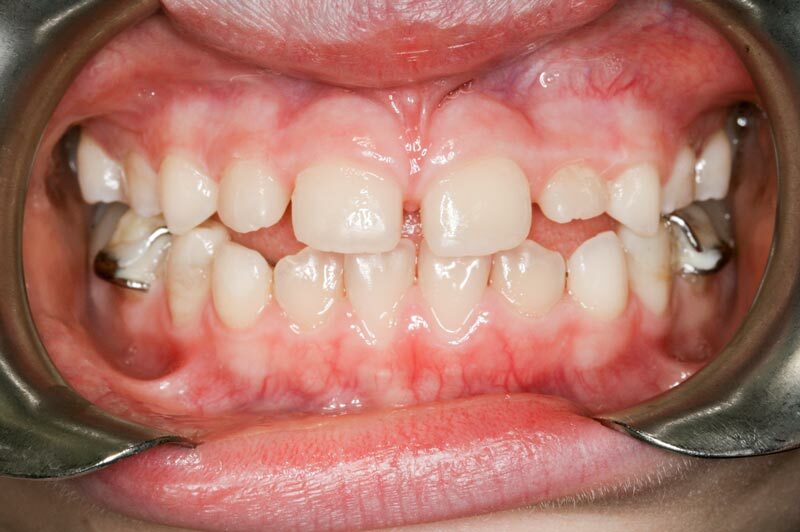 If this is reversed, such as the lateral incisor we see here, it calls for immediate intervention. 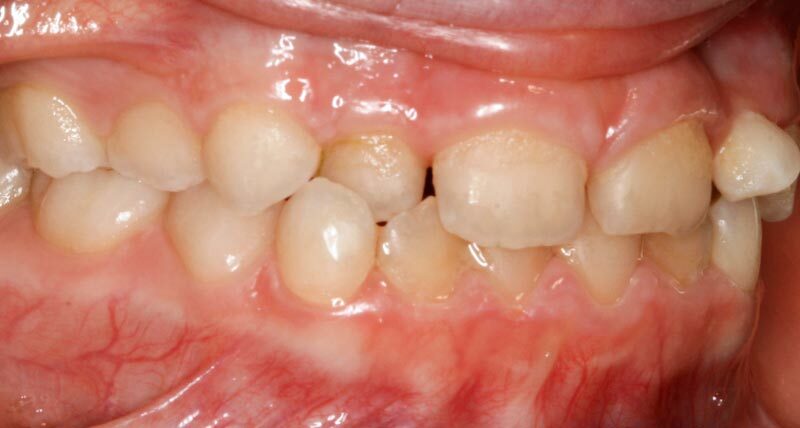 The crossbite happens when there is no room for the permanent tooth to erupt, and it comes out twisted, turned, or here in the wrong position – more palatal. In this case the persistence of the baby tooth it was meant to replace made things worse. 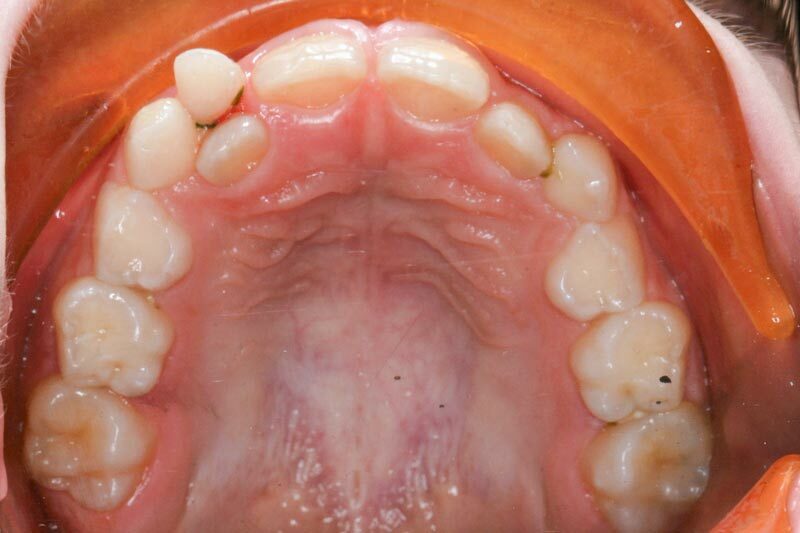 The permanent tooth by-passed the baby tooth and erupted more palatal. After the initial appliance, another one was made to continue arch development. 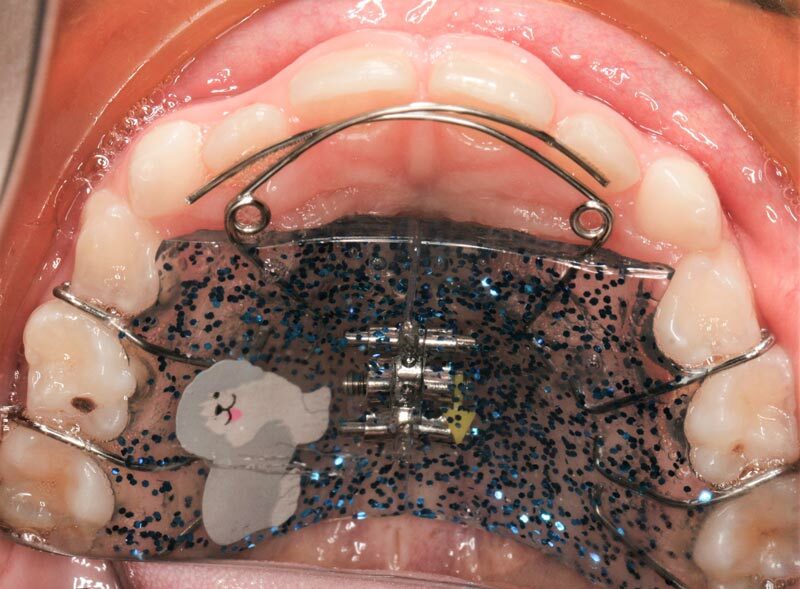 At this stage a lower appliance was also made to keep up with the upper arch. 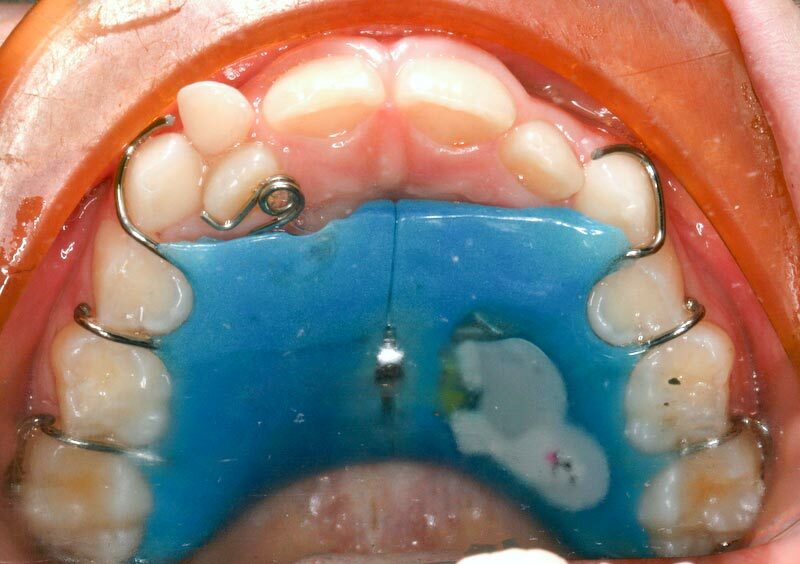 At this stage we slow down the rate of expansion of the appliances, which are basically worn as a “retainer” until the baby teeth become loose. 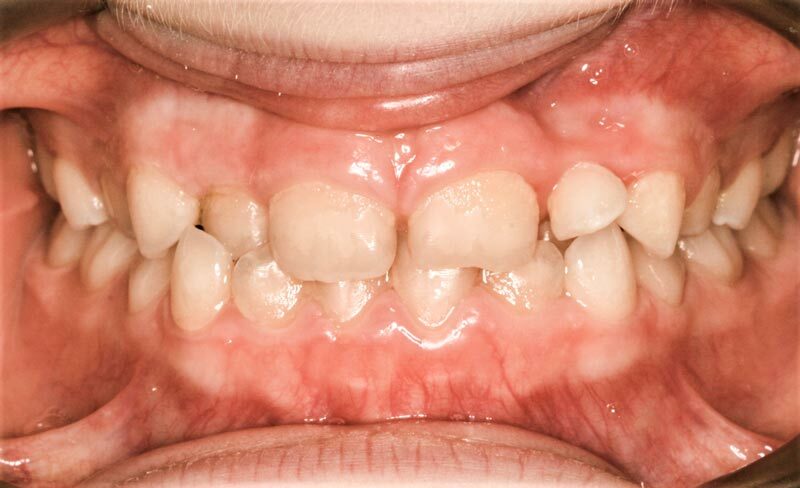 The smile has widened, all the teeth are in good alignment, and as the permanent back teeth erupt in a year or two, the spaces will be eliminated through the natural forward drift of the back molars.